Experience luxurious comfort with this stylish High Back Leather Executive Office Chair with Leather Padded Loop Arms. This desk chair offers a contemporary ergonomic design, generous padding of the seat, back and arms, and soft yet durable leather. It also features a titanium nylon base with black caps that prevent feet from slipping. For unmatched comfort, this should be your next office chair! 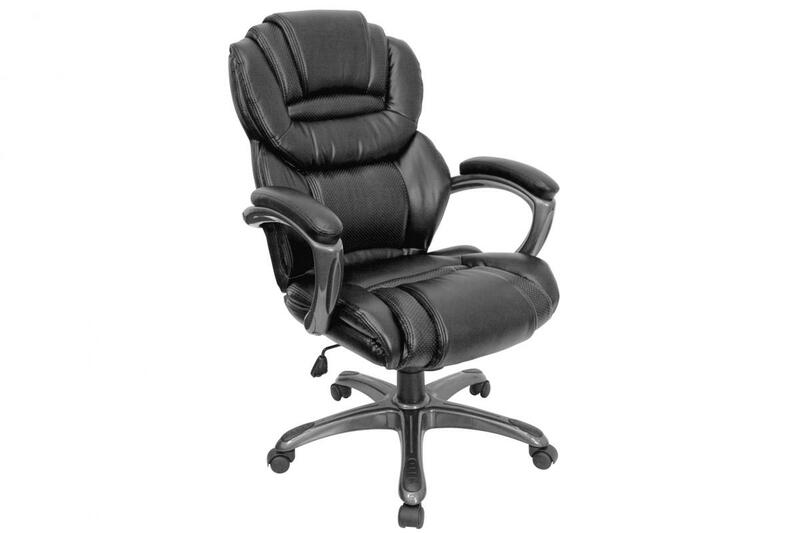 I would like to receive pricing for the following item: High Back Leather Executive Office Chair.